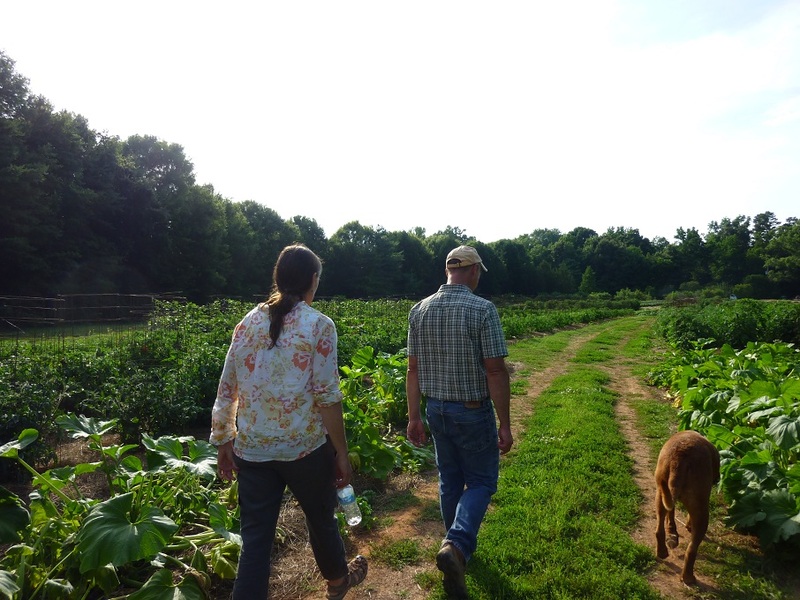 Charlotte Fresh and Hubby had the privilege to join a farm tour arranged by the Matthews Farmers’ Market of one of the most beautiful farms in our area – New Town Farms in Waxhaw, NC. NTF is owned by our friends Sammy and Melinda Koenigsberg. Arriving at the farm, you would not expect a meandering gravel drive with well-established trees ringing a beautiful lake. 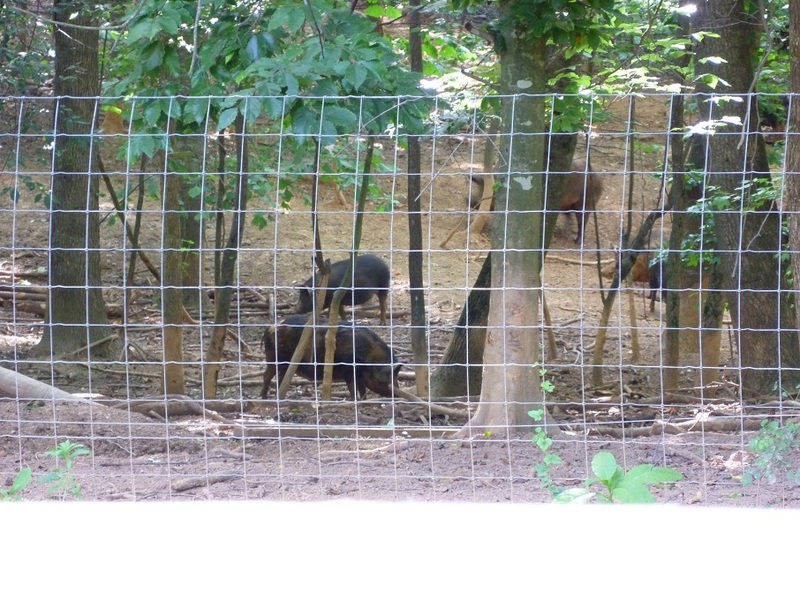 New Town Farms is so serene, it feels more park-like with trees and shade, open pasture for chickens, wooded areas for the Ossabaw hogs and a tilled garden. There is a beautiful house on the property that the Koenigsbergs hope one day to turn into a related enterprise – an Inn that would serve guests food from the farm. It’s a fitting vision for a family that is so incredibly hospitable. Farming is a labor of love that takes time and patience. And family. Sammy and Melinda manage and work the farm with their eight children and two part-time employees. Sammy fondly remembers his first sale to Tally’s Green Grocer: $5.11 worth of radishes presented beautifully in a basket. Tally’s asked Sammy to back the truck up to the loading dock, but the basket quantity was all Sammy had that day. Humble beginnings do pay off. By the late 1990s, New Town Farms began supplying Sonoma restaurant Uptown, and today the farm supplies 15 restaurants with its organically raised produce, eggs and meat. New Town Farms also sells at the Matthews Farmers’ Market and has their own CSA membership. The farm’s current produce garden flourishes on three tilled acres on the picturesque 50-acre property. 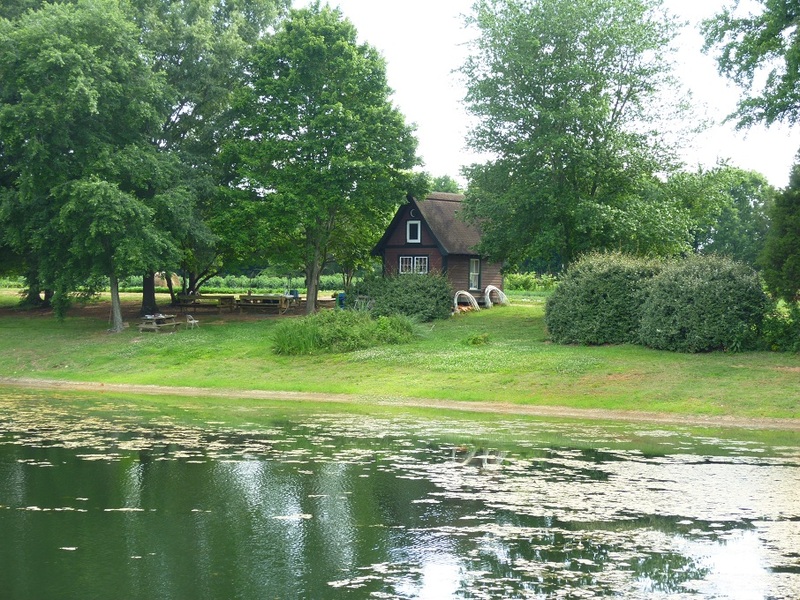 View of the lake on the picturesque farm. 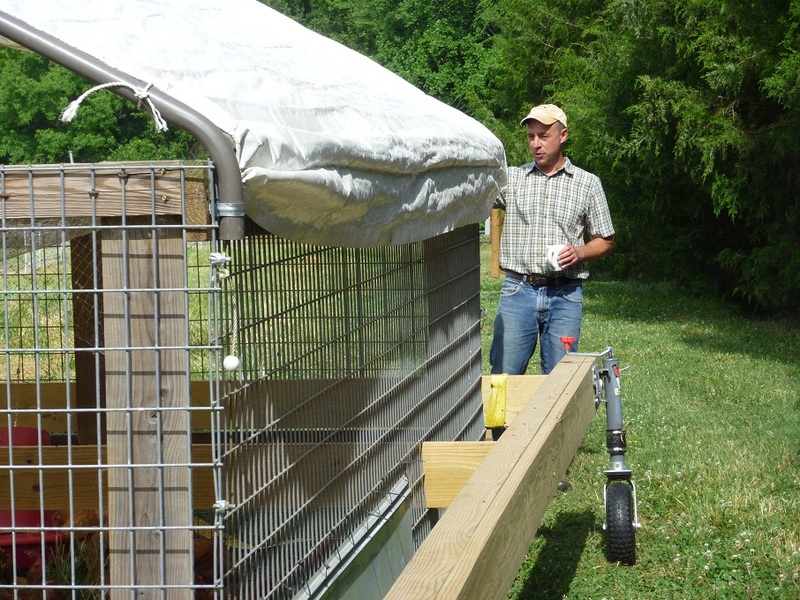 On the tour, Sammy spoke of the importance of letting your chickens out to pasture so they can be raised more humanely and healthily, and he showed us the movable structures that protect his heritage Red Bro chickens from predators. 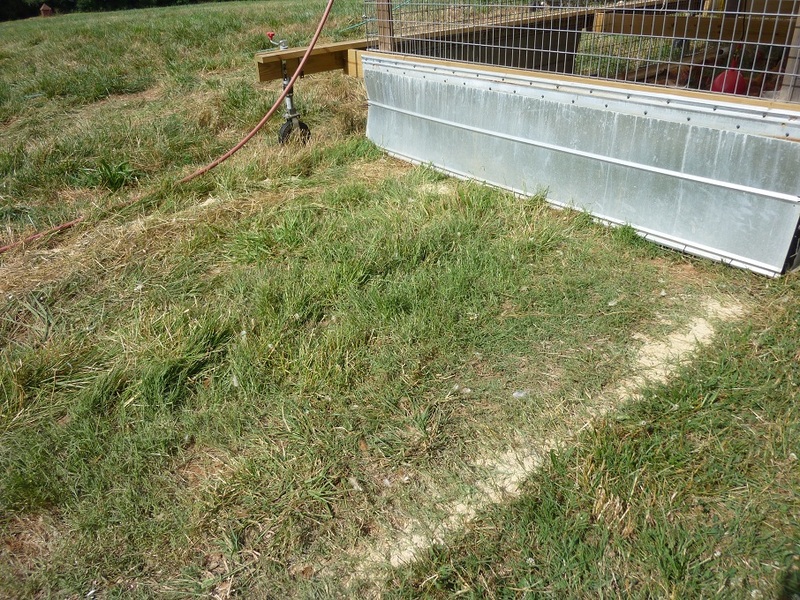 The structures are moved along on wheels so the chickens can forage new ground. The ground they’ve already visited receives valuable nutrients from their waste, so soil is improved for the grass that is grown. Happy Red Bros have plenty of room to walk around and forage while being protected from predators. What the ground looks like after the chickens have foraged. The Koenigsbergs also believe in preserving heritage breeds of laying chickens, and recently they have worked to raise the endangered Ossabaw Island Hog – a breed derived from feral pigs on Ossabaw Island, GA descended from pigs released by 16th century Spanish explorers. It may seem counter-intuitive to raise endangered animals for eating, but it brings awareness to the issue; and if more farmers raise these breeds, eventually we can regrow those populations and keep the genetic diversity in our livestock to ensure the future of agriculture. See the American Livestock Breeds Conservancy for more information. Ossabaws store fat differently from other pigs which lends the meat a darker color and a delicious taste. 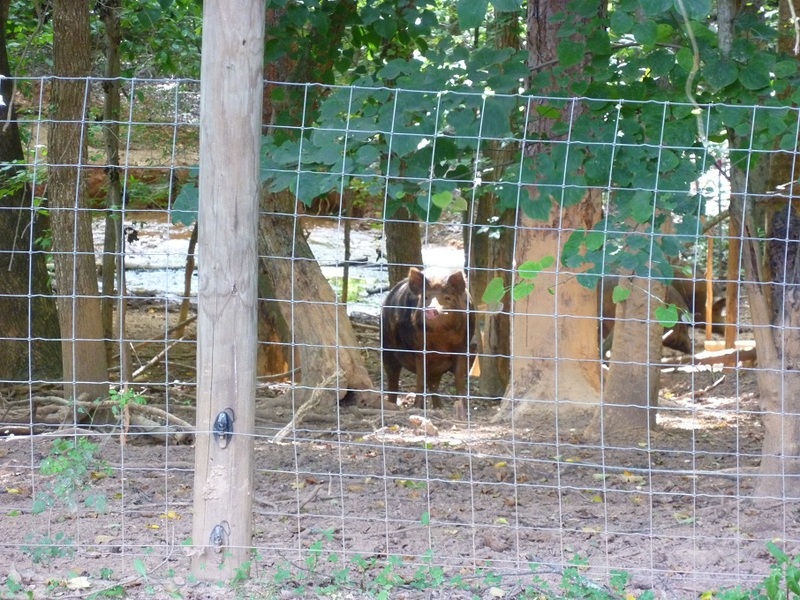 New Town Farms’ Ossabaws mainly forage for themselves. If you are lucky enough to be able to purchase some, you’re in for a real treat. 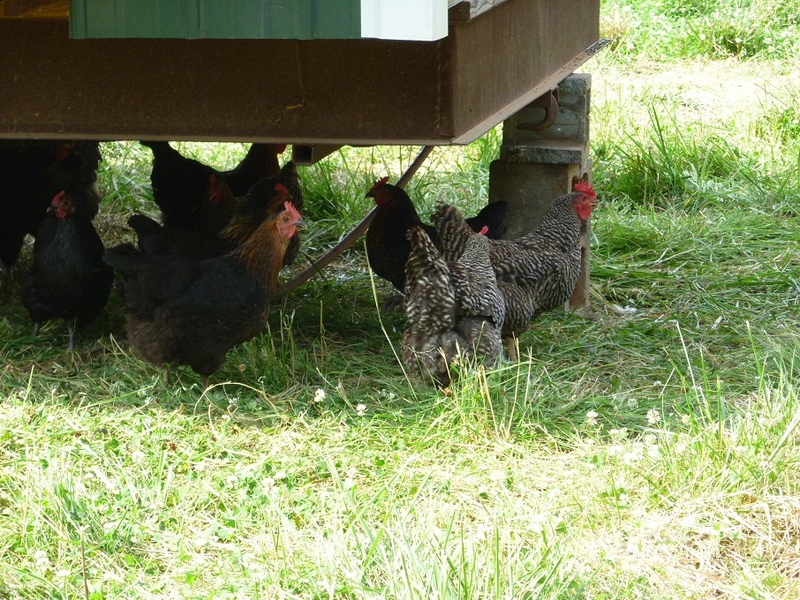 With assistance of a grant, New Town Farms has built a state-of-the-art outdoor processing pavilion which they sanitize and use to process their poultry en plein air – it’s very humane, and as a visitor you get a sense of New Town Farm’s appreciation for the life of the animal as they process in this beautiful natural environment. Their is no smell, no evidence really- it makes me happy to know that the Red Bro chickens we eat (my favorite!) are processed in this peaceful spot overlooking the lake. It’s an ultimate tribute to their sacrifice in becoming our food. 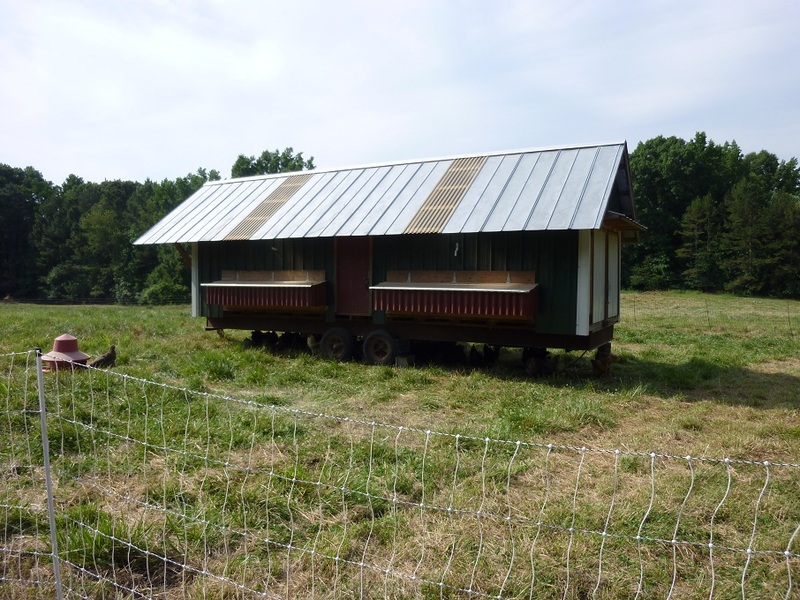 The Ossabaw is processed at an off-farm meat facility – this adds cost for the farmer, and raising Ossabaw is more of a conservancy mission than a profitable endeavor for now. 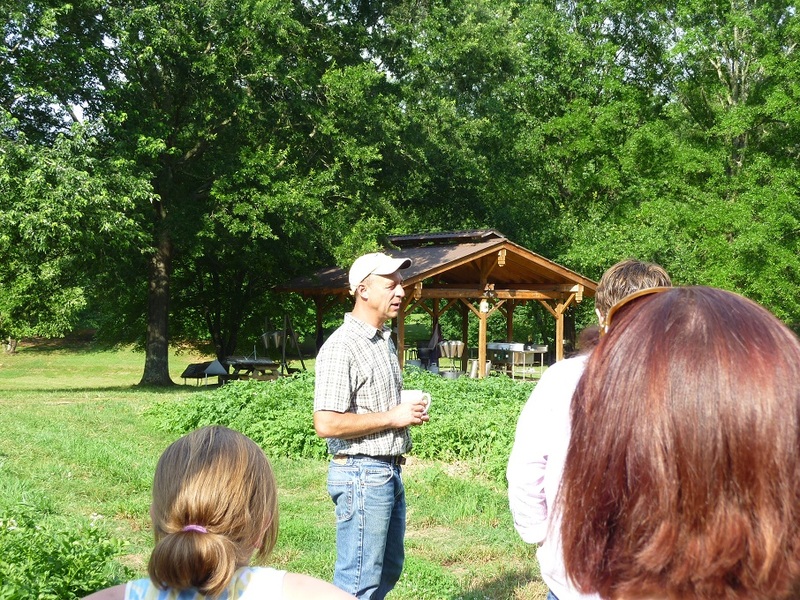 Hubby and I always learn so much from our farmer friends and from the tours they give. And that afternoon with the Koenigsbergs we walked away with something even more special. The clear message of the respect, appreciation and awe of life and the earth that we all should have. Because without respect and care for our land and our livestock and without farmers who believe in doing things right, we really would have no food. Thank you, Sammy and Melinda, for letting us glimpse your world and for working hard to provide us with good clean food. 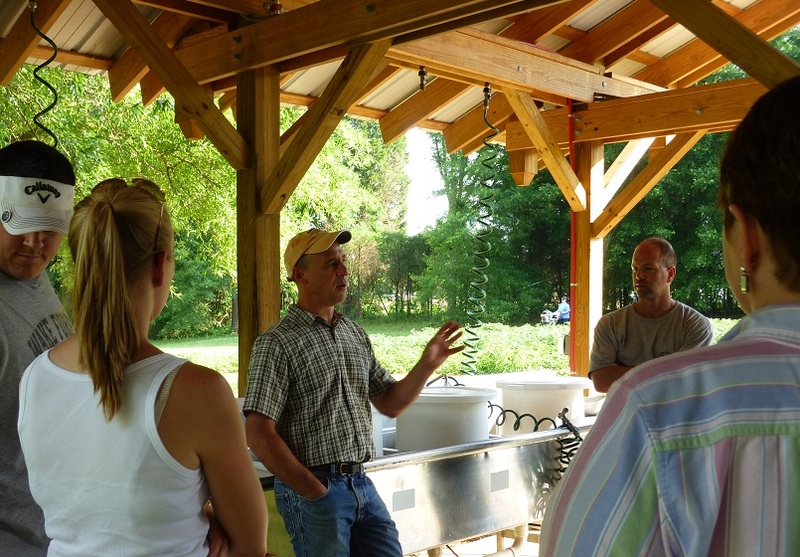 If you want to experience the farm, don’t miss this special event on Saturday, July 28, 2012: “On The Farm at New Town Farms,” a special cooking class with Heidi Billotto. 11:00 am – 3:30 pm. 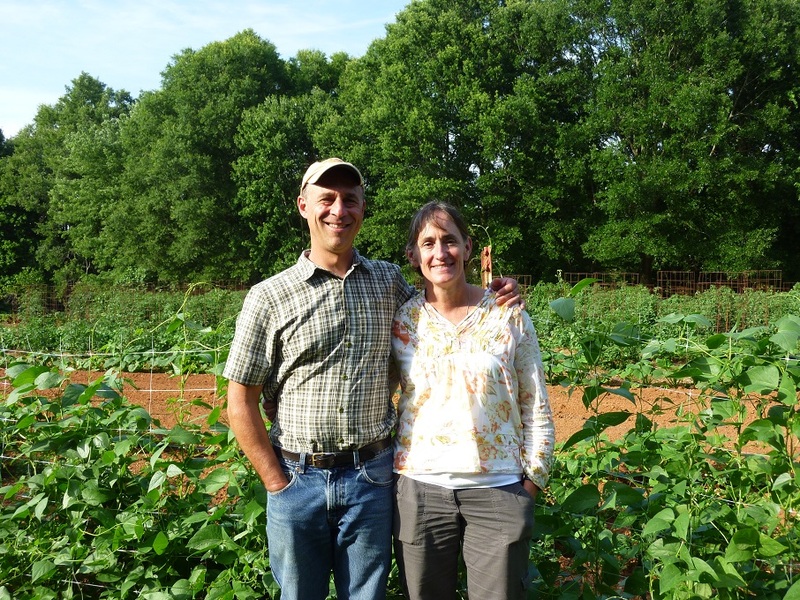 Join Heidi and the Koenigsbergs at New Town Farms for a farm tour. The light and easy summer menu will be determined by what’s growing and ripe for the picking, so details on that to come. Josh Villapando from Common Market will provide the wines – all from sustainable vineyards around the world – to pair up with the On the Farm theme. This will be Heidi’s last summer class at New Town Farms until the fall harvest comes in. Cost is $75 per person. Email Heidi Billotto at hlnc@carolina.rr.com to make your reservations. Walking through the organically grown tilled garden. 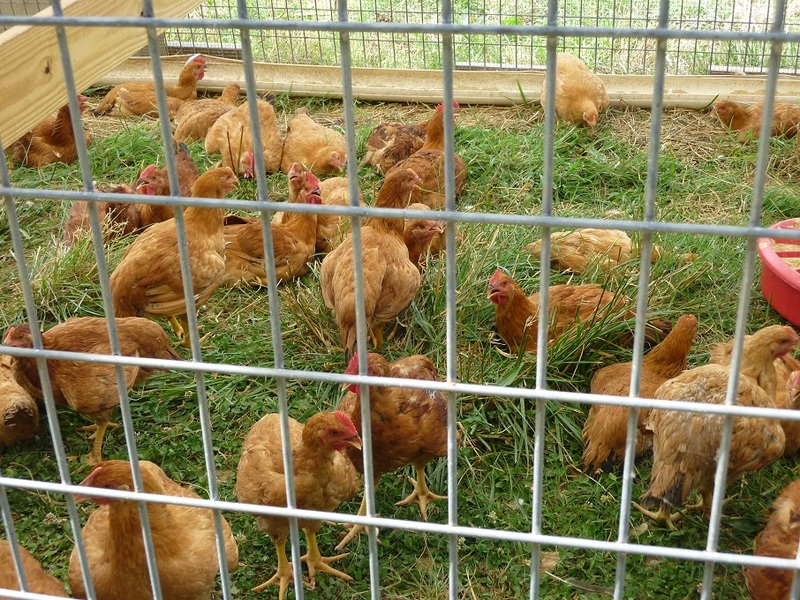 This entry was posted in Events, Farms, Local, Organic, Uncategorized and tagged Chickens, Events, Farmers Markets, Farms, Local, Organic, Pork. Bookmark the permalink.